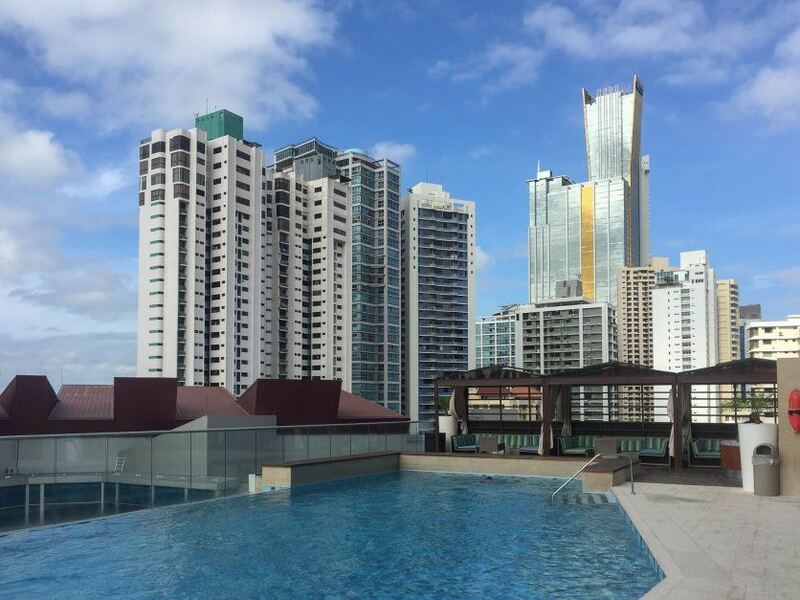 What it's like to stay at the Hard Rock Hotel Panama Megapolis. We love rock n' roll. 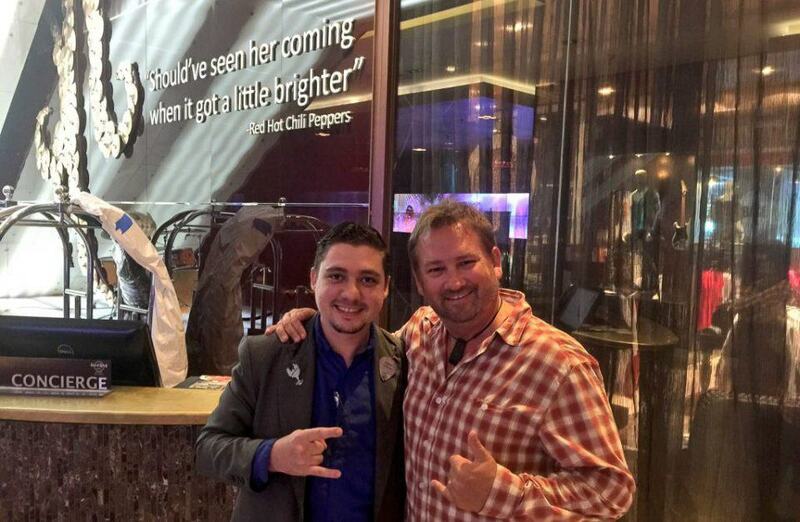 If you read our about us page, you'll know that Dave and I wanted to be rock stars. We moved to Vancouver to pursue our music careers. Alas, our dream didn't come true, but we do love living the life of a travel blogger. We often feel that we get to live like rock stars without all the drama that comes from being famous. 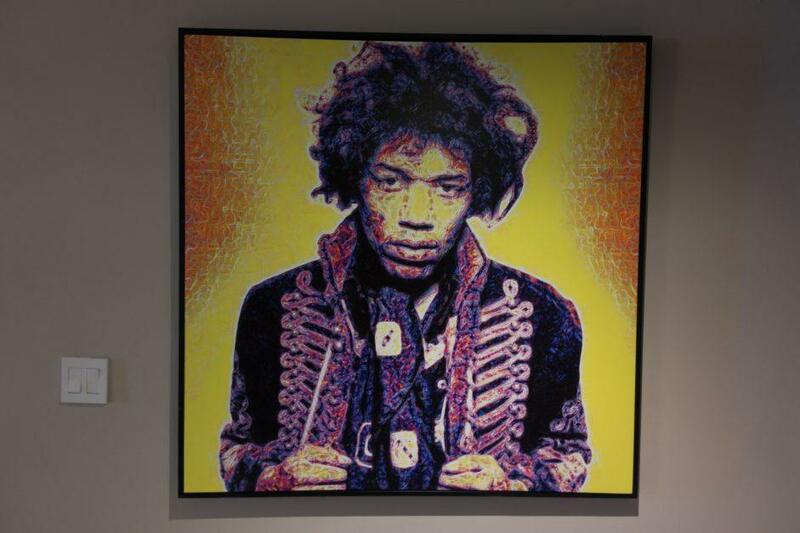 Nowhere had we felt more like a rock star than our stay at the Hard Rock Hotel Panama Megapolis. Our trip to Panama was meant to be a relaxing one. It had been a long time since we've taken a vacation that wasn't filled with seeing sites and going on adventures. 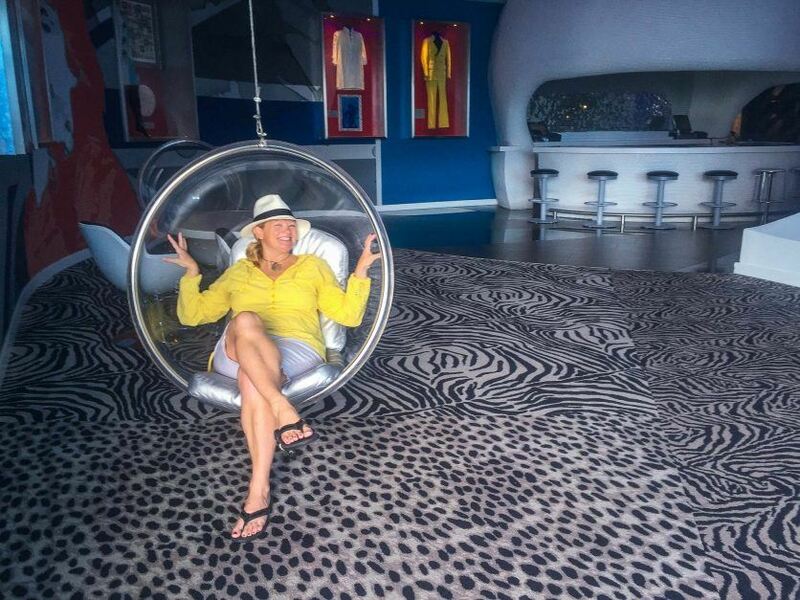 The Hard Rock Hotel Panama Megapolis was just the ticket. 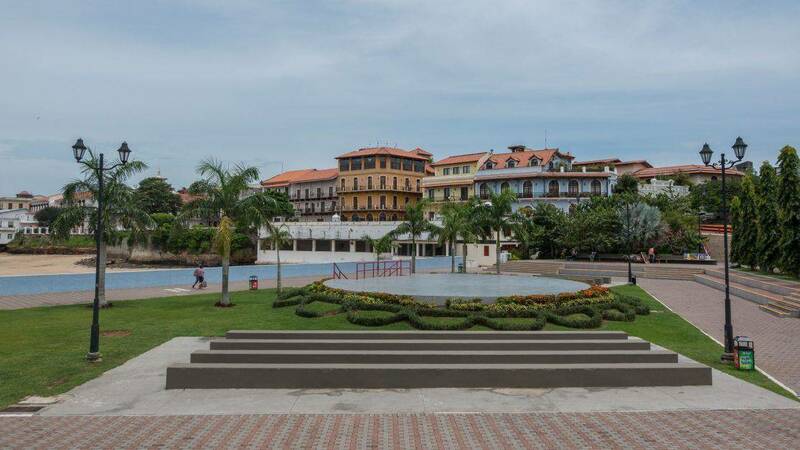 Located in the heart of Panama City, it's a resort that gives you a luxurious, all-inclusive vacation with options to go out and see a few sites. 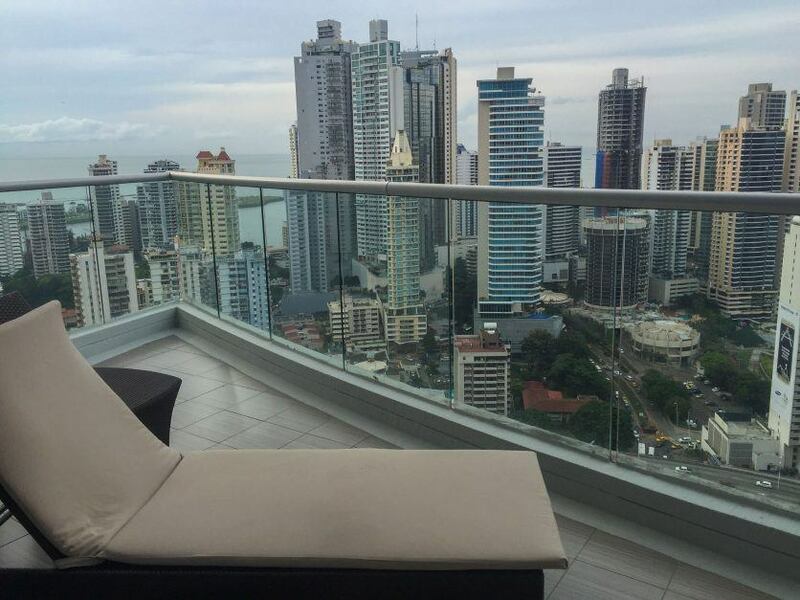 Staying in a room on the 36th floor, we had an epic view of the Panama skyline. 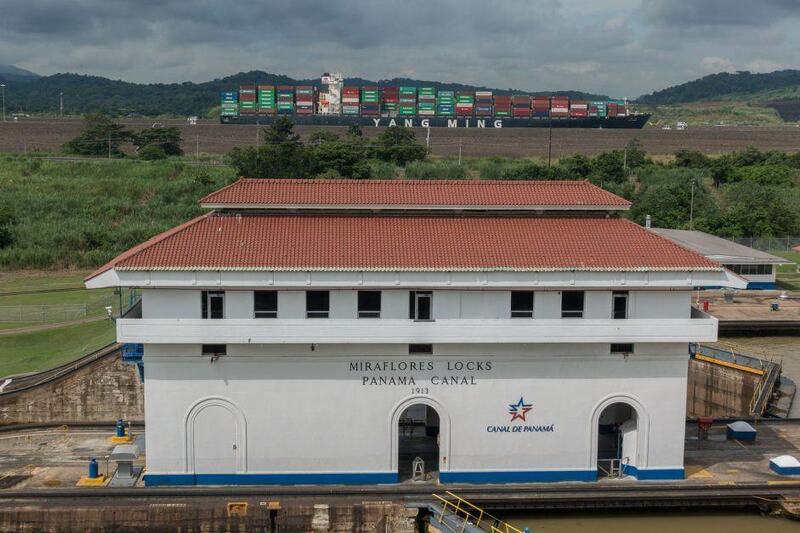 We didn't realise that Panama was so modern. It totally reminded us of Dubai. 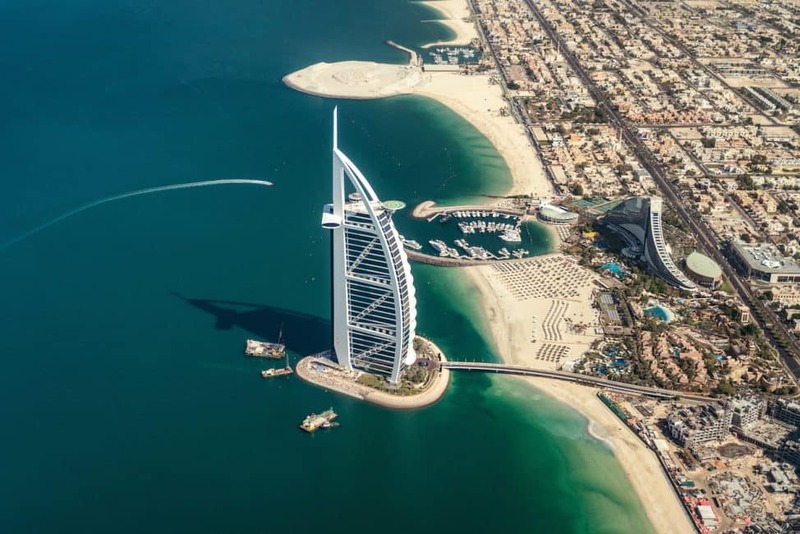 The skyscrapers had the look and feel of the Middle East with their intricate designs. There's even a replica of the Burj Khalifa. 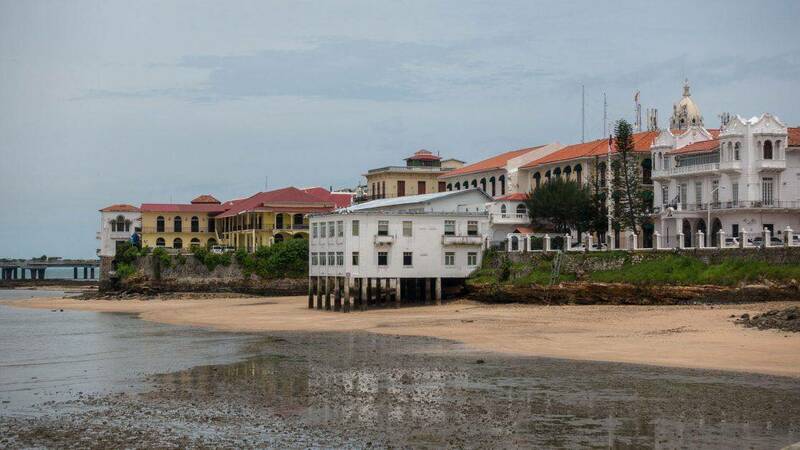 It's owned by Trump, so I can only imagine how many Panamanians were ripped off when he built that hotel. Needless to say, we didn't visit it. But we did enjoy our time at the better located and far more fun Hard Rock Megapolis! 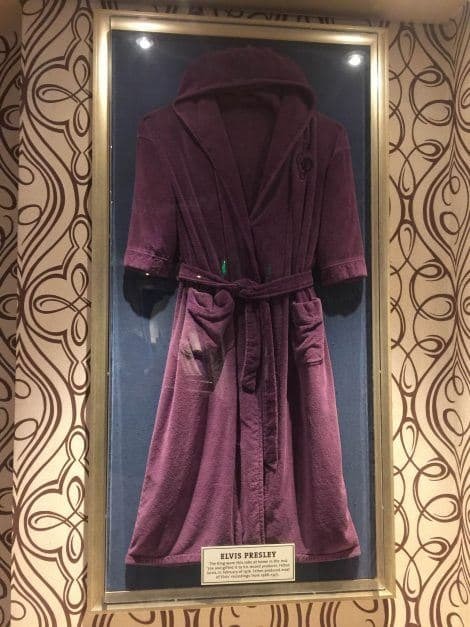 There are many things that make staying at a Hard Rock Hotel unique. The moment you walk into the lobby, the tone is set with classic rock music coming through the speakers as memorabilia hangs on the walls. 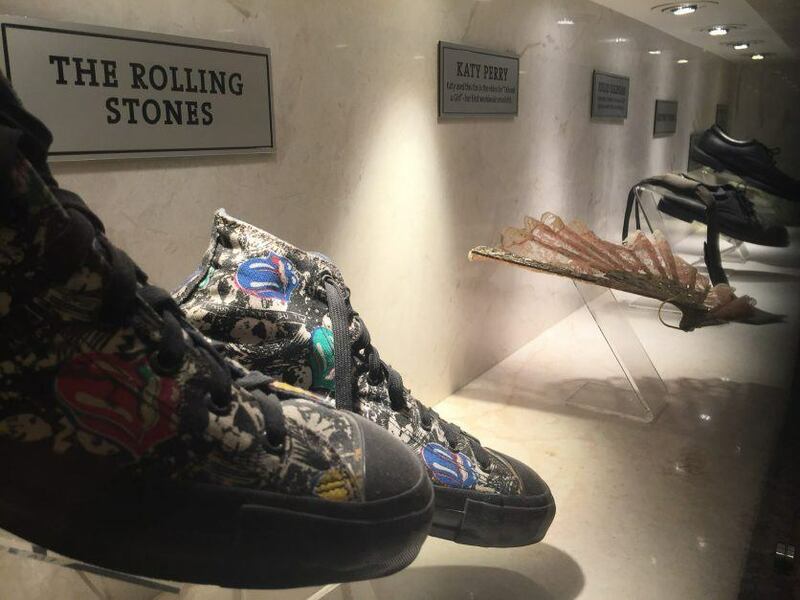 When you stay in a Hard Rock hotel, it's like staying in a rock n roll museum. 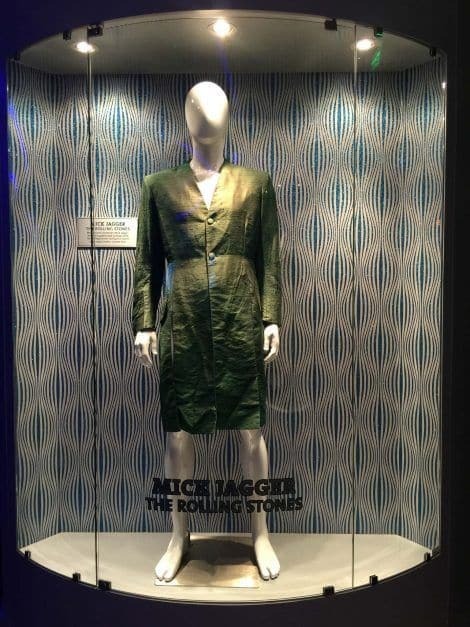 Forget going to Cleveland, you can get your rock n roll hall of fame experience at the hotel! We love mixing Music with our travels, check out our list of 44 best road trip songs. We ordered the amplified package that was waiting for us when we entered the two-bathroom suite. 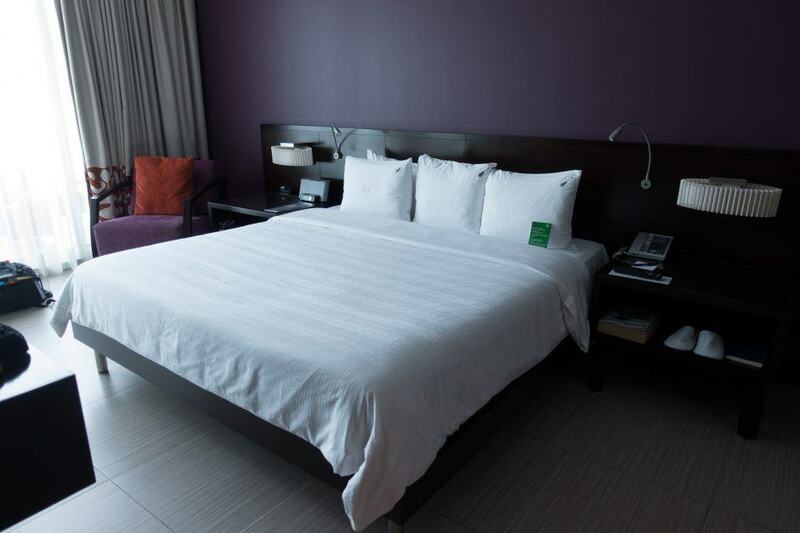 The amplified package is courtesy of the Hard Rock Hotel Panama Megapolis. 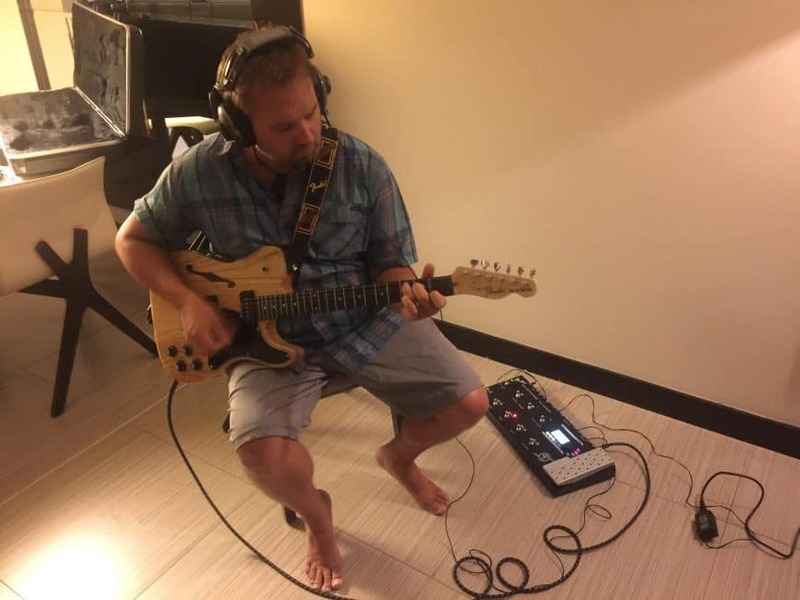 Playing guitar in the Hard Rock Hotel Megopolis in Panama. If you ask for it, they will have a fender guitar of your choice waiting in your room with picks, pedals and headphones – so you don't disturb your neighbours. All you have to do is go through the menu of guitars, call down to the front desk and your instruments will be waiting for you. Dave and I used to play the guitar a lot so it was really fun to strum out a few of our favourite 90s tunes. 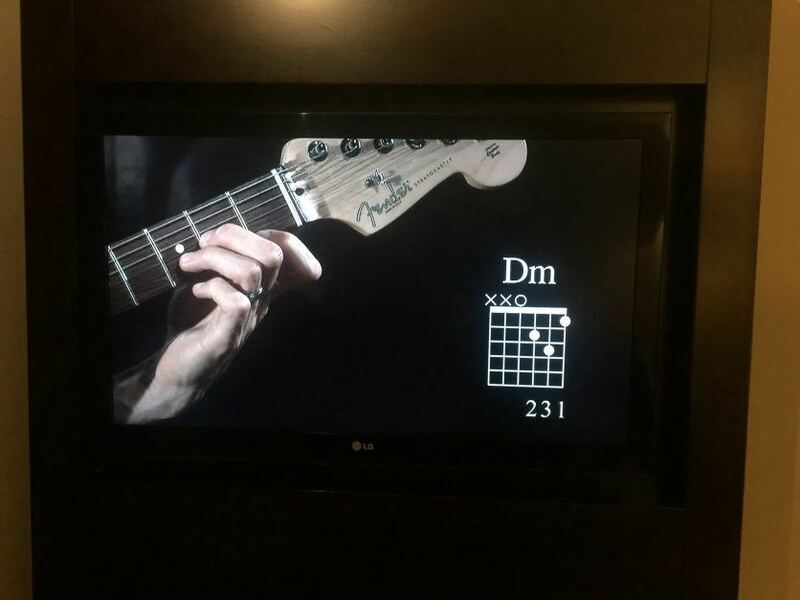 But if you don't play, don't worry, the Hard Rock channel offers tutorials on your TV, showing you how to play some popular songs. After playing around for a solid hour, we decided it was time for dinner. The Hard Rock Hotel Panama Megapolis has five restaurants and five bars to choose from. We ate at all of them. 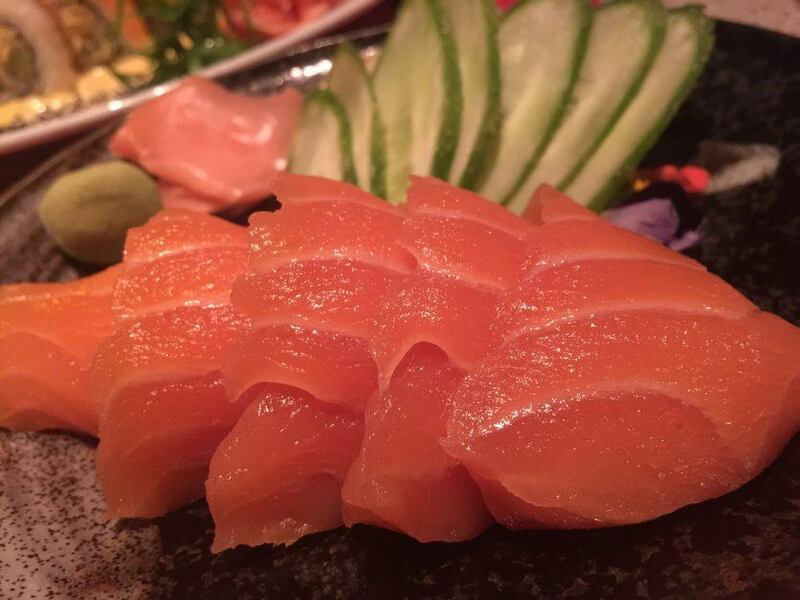 Our first night called for sushi at Soy. 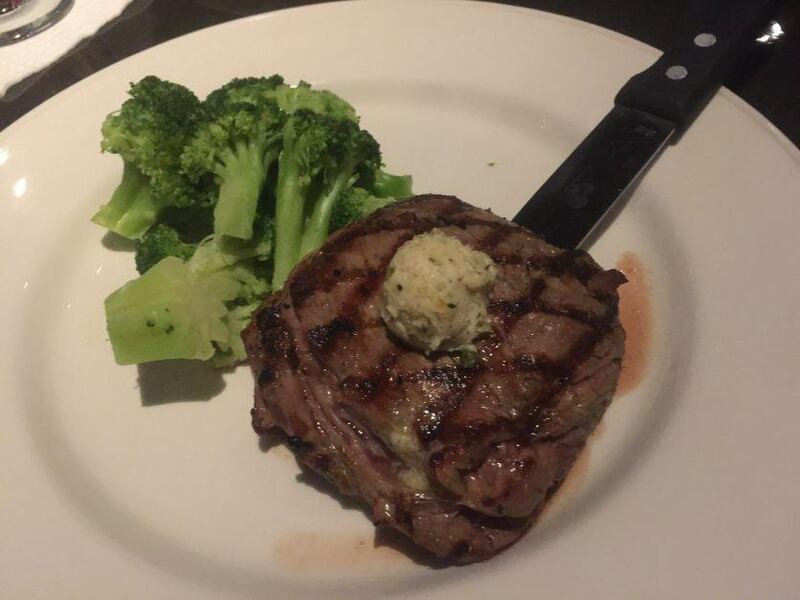 After a long flight, there's nothing better than a light yet comforting meal. 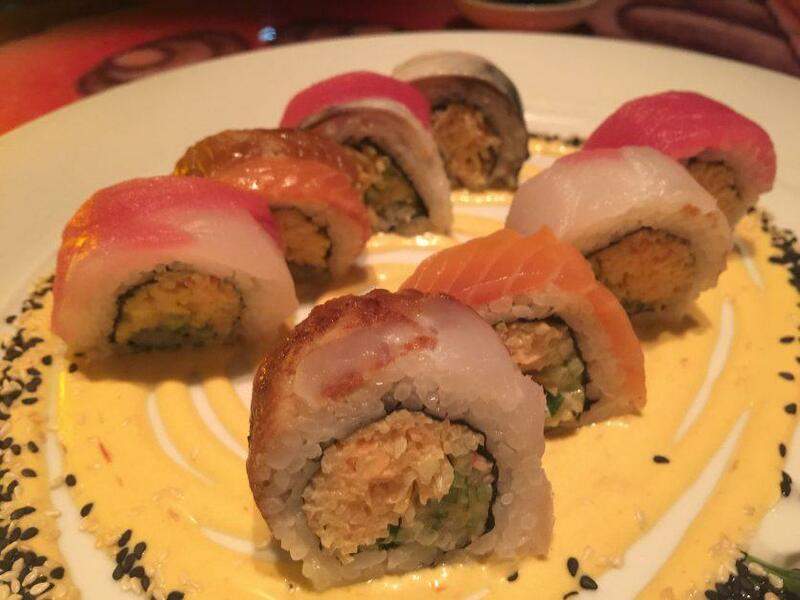 Sushi does the trick. We loved the setting of sunken tables. Sitting on floor cushions completed the look and feel of the Asian theme. Add a bottle of Asahi beer and you could be in Asia! 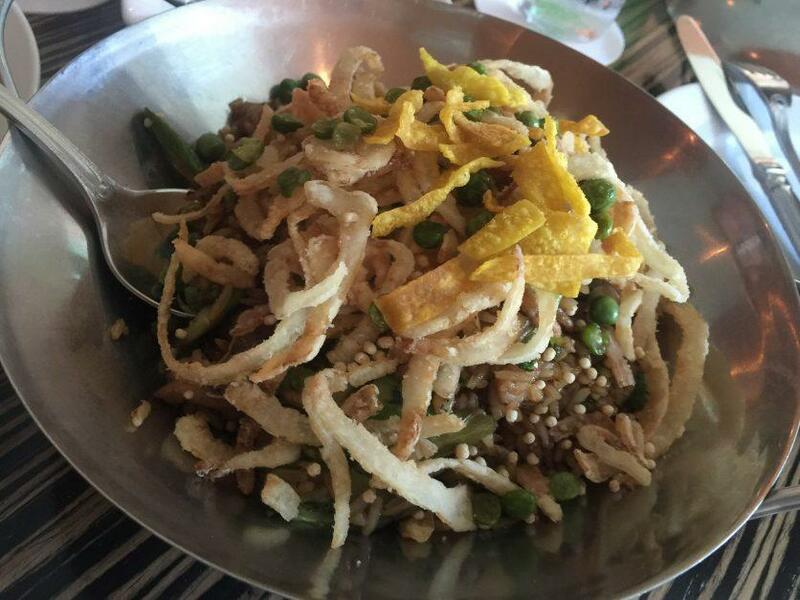 Other great dinners we had were at Tauro for delicious beef, and relaxing fusion lunches at Caio. 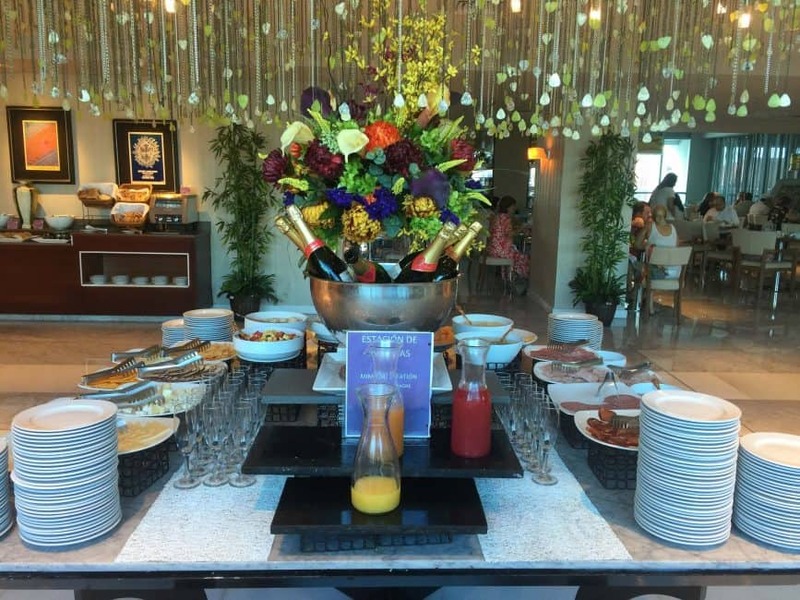 Breakfasts at the Hard Rock Hotel Panama Megapolis were excellent. I've never met such a happy egg guy. The man who made our omelets each morning had a huge smile on his face, switching seamlessly from Spanish to English, to French and Mandarin. He could talk to everyone! Breakfast at the Hard Rock was not too shabby either! I loved the assortment of cheeses and the Mimosa bar was a nice way to start the day. I mean, how can you not be in a good mood when there's bubbly! 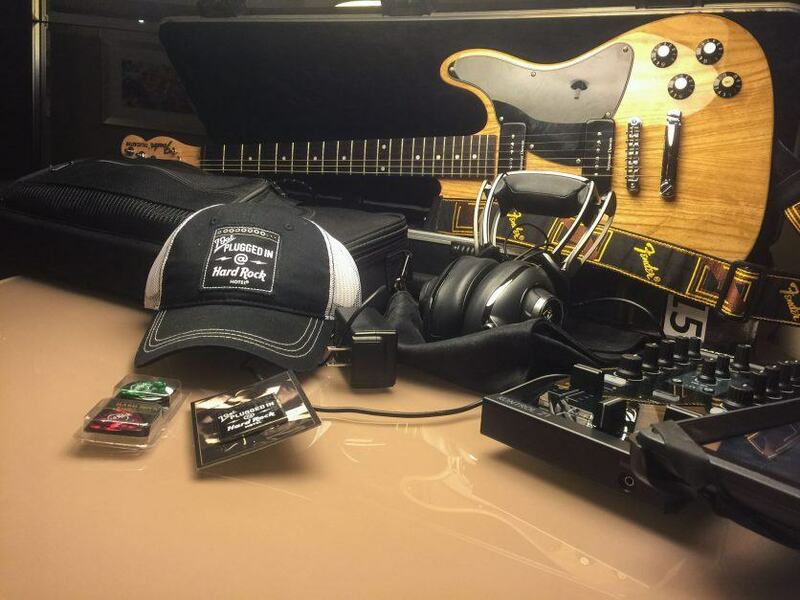 It took a couple of days to figure out where everything was in the Hard Rock Hotel Panama Megapolis. It is huge! There are nightclubs, juice bars and coffee shops on several different floors and each stop on the elevator was a new adventure! There were seven floors alone dedicated to experiences. We'd discover a new hidden gem each day. 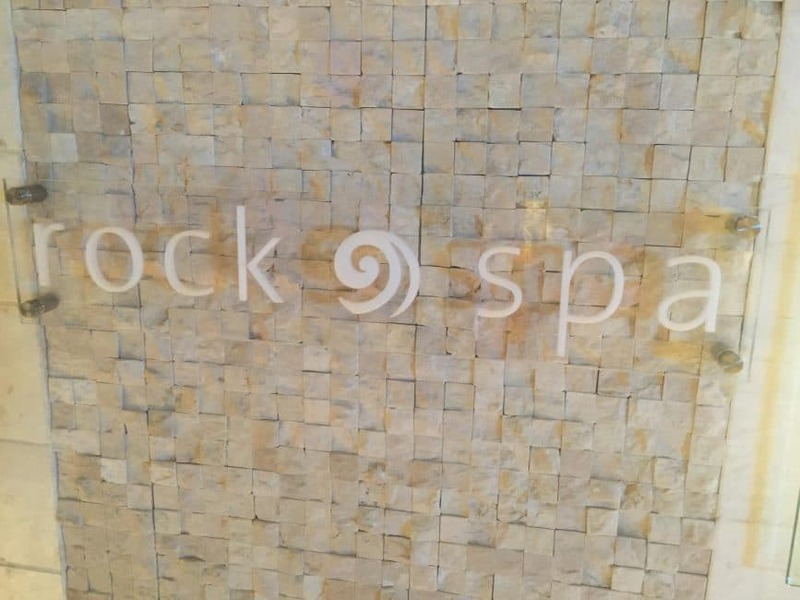 One of our favourite Hard Rock Experiences was the Rock Spa. We've been to a lot of spas in our life, and we always enjoy something unique. 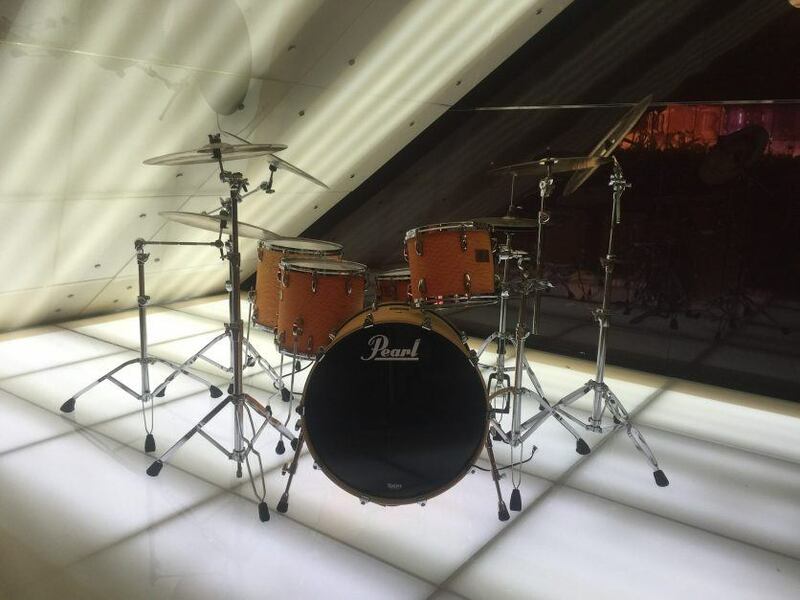 The Rhythm & Motion massage is the world's first immersive music-centric spa. As soothing mellow rock music plays the amplified vibrations ripple through the massage table. It was the perfect compliment to a deep tissue massage. One of the hottest spots in Panama City just so happens to be at the Hard Rock Hotel Megapolis. 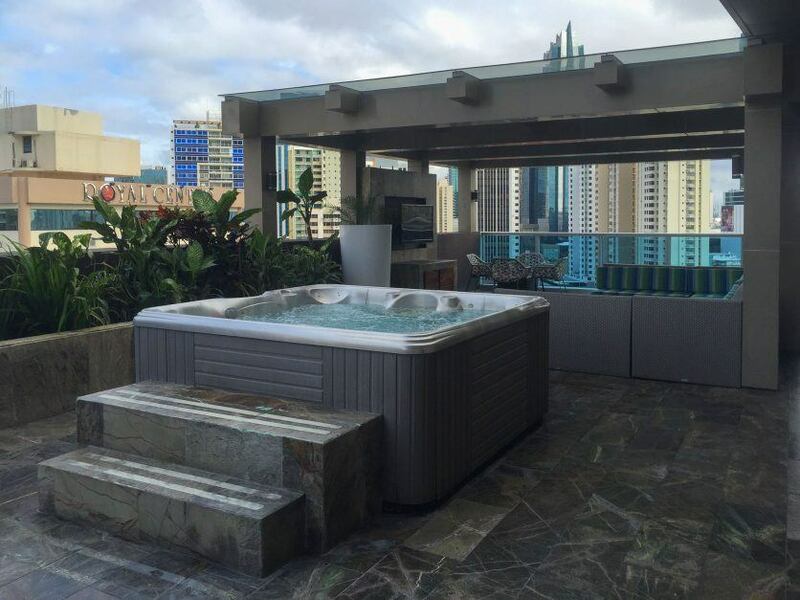 The Bits Bar is located on the 64th floor, offering amazing panoramic views of the city. They make a mean gin and tonic as well. 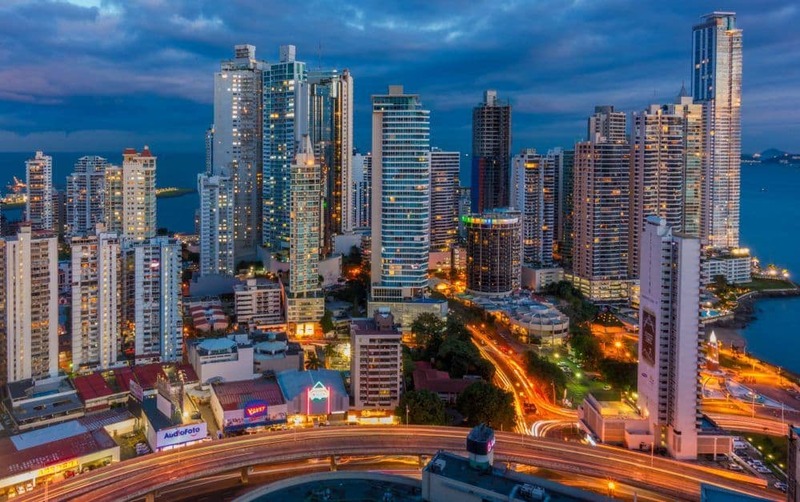 Even though you could spend all your time in the hotel, you will want to get out and see Panama. 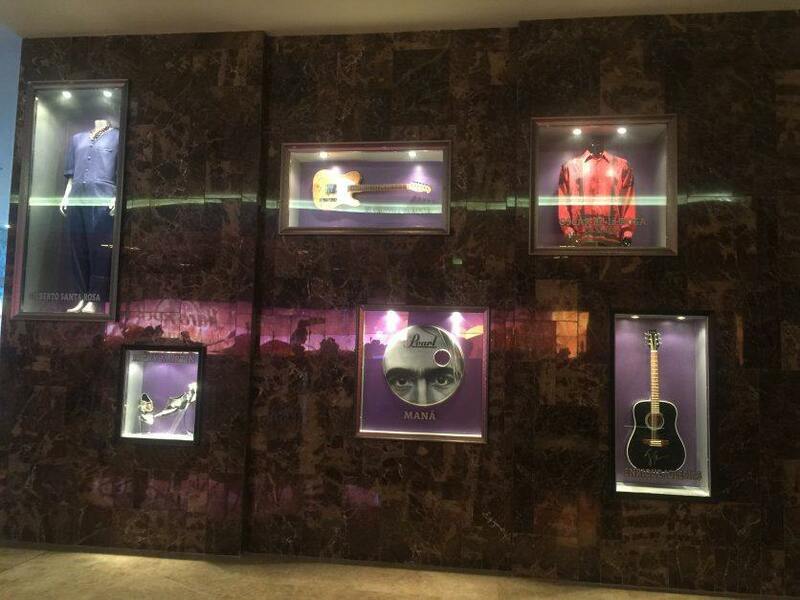 The Hard Rock offers tours around the city through Luna Tours in the main lobby. 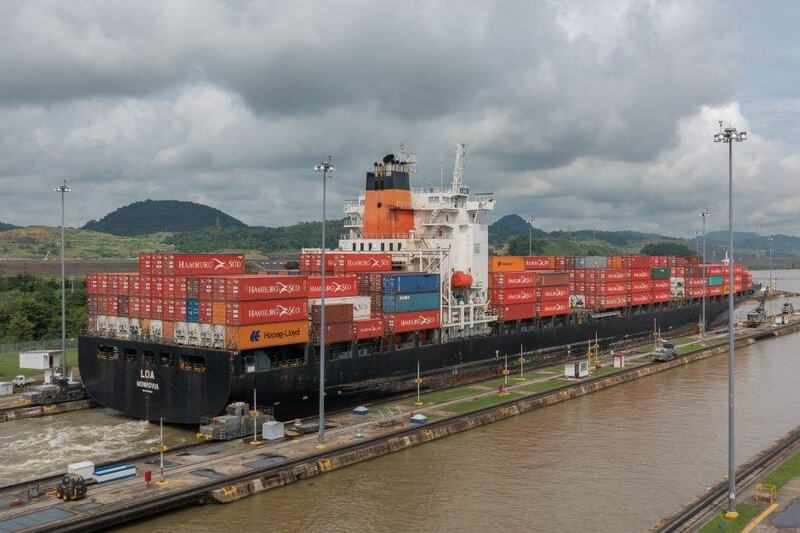 We took a Panama Canal and city tour with Luna Tours and had a fantastic time in our private coach taking us around the town. 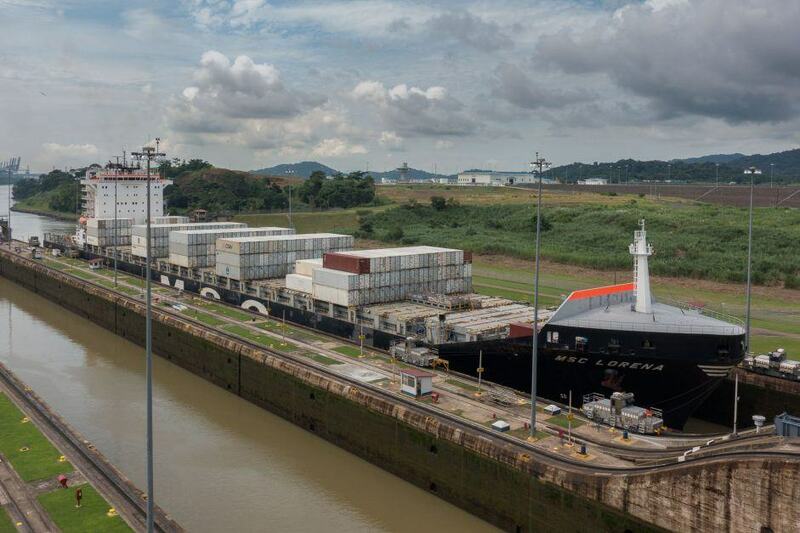 The Panama Canal is considered an industrial wonder of the world. It's a fascinating tour through the museum and canal to see how it was made. To think that something was made by hand at the turn of the 20th century is unreal. The hardships that the workers had to go through like disease and extreme heat, using sheer strength to move rock and earth, is an industrial marvel. 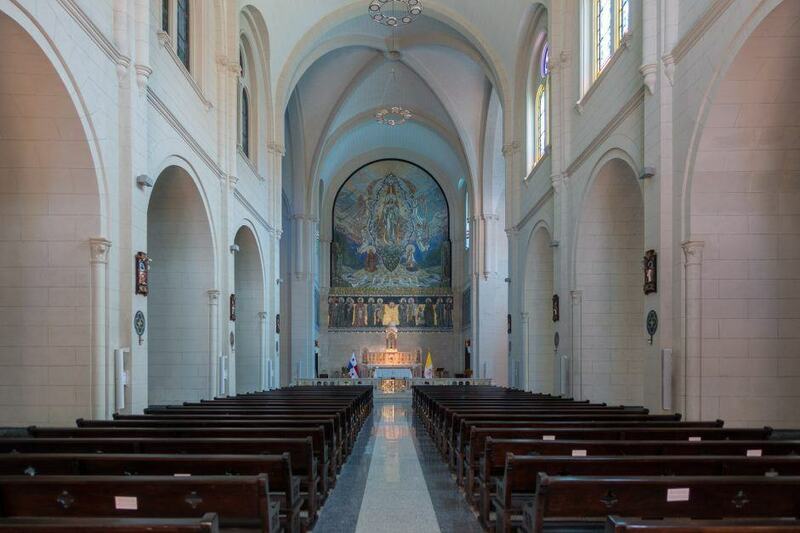 It is a spot for shopping, dining and visiting the historic churches and cathedrals of Panama City. 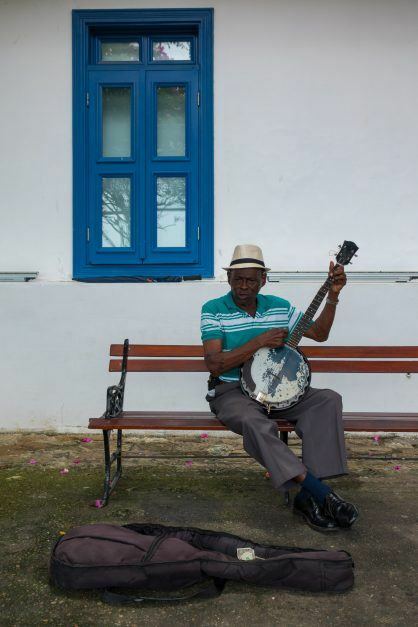 Luna offers tours of the Old Town and newer stops in Panama like the Mercado Nacional de Artesanias and the Marina. Don't spend all your time in the hotel, you'll be missing out! The Megapolis is also attached to a shopping mall filled with several name brand retailers. We realized that we left dressier shoes behind for Dave, so we took advantage of the nearby shopping. 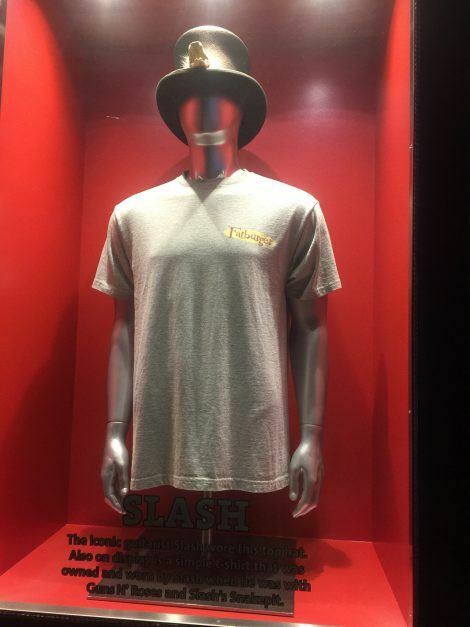 The Hard Rock Cafe is located in the Mall. We found it peculiar that it wasn't attached to the hotel, but it's just a short walk indoors to the Cafe where we enjoyed our usual club sandwich with a pint of beer that we normally have when visiting a Hard Rock Cafe. The staff here was the liveliest we've ever seen, dancing on the stage, giving a resounding welcome to everyone that came in and coming around to ask for requests for the DJ. Needless to say, we had a lot of fun. The Tragically Hip deserves a place in Hard Rock Hotels: Read, The World Can Learn a Thing or Two from Canada. We made the most of our time relaxing and enjoying the Hard Rock amenities. Our room was huge and the perfect escape from a hectic city. The infinity pool was also a welcome escape from the heat of the city and the many bars gave us a chance to make some new friends. My only complaint is that this Hard Rock Hotel didn't play enough rock music. We listened to a lot of Rhianna, Justin Bieber, and other pop artists. Queen, Led Zeppelin and Aerosmith were shown on the TVs but they were muted out and pop music played instead. This definitely took away from the experience for us. We wanted to hear rock music. After all, it's not called the Hip hop, soft Pop or R&B Hotel. It's the Hard Rock and we want some good old rock and roll. 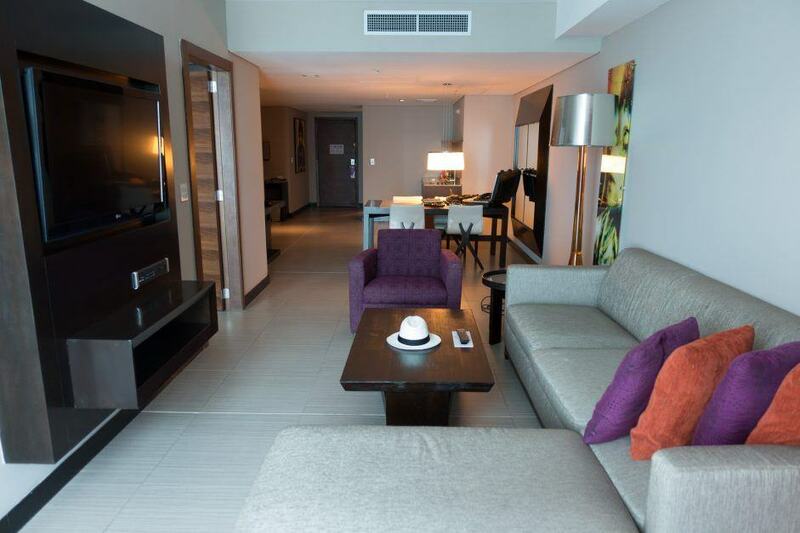 For more information on the Hard Rock Hotel Panama, Visit the Hard Rock Hotel Panama Megapolis for details. 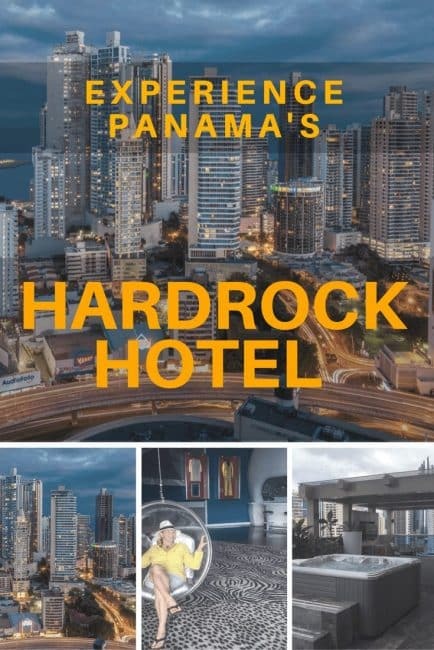 7 Responses to "Experience the Hard Rock Hotel Panama Megapolis"
Did you have to make reservations to enter the bars or restaurants? I am planning a trip there in July and was curious. I don’t want to be bogged down with multiple reservations. No problem at all with reservations. It wasn’t actually that busy at all when we were there. Nice place!! Looks beautiful and awesome. Hope to visit soon. I hadn’t considered a Hard Rock hotel before, honestly. Grat information! Great experience shared. Amazing pictures. It was fun reading it. Thank toy for sharing it. Interesting Blog! Good to find you people having fun. Thanks for sharing your memorable moments with us. Hello. Thanks for a great review. During my visit to Punta Cana, I stayed at Hard Rock hotel. I can definitely say that this branch of hotels if one of the best in the world. 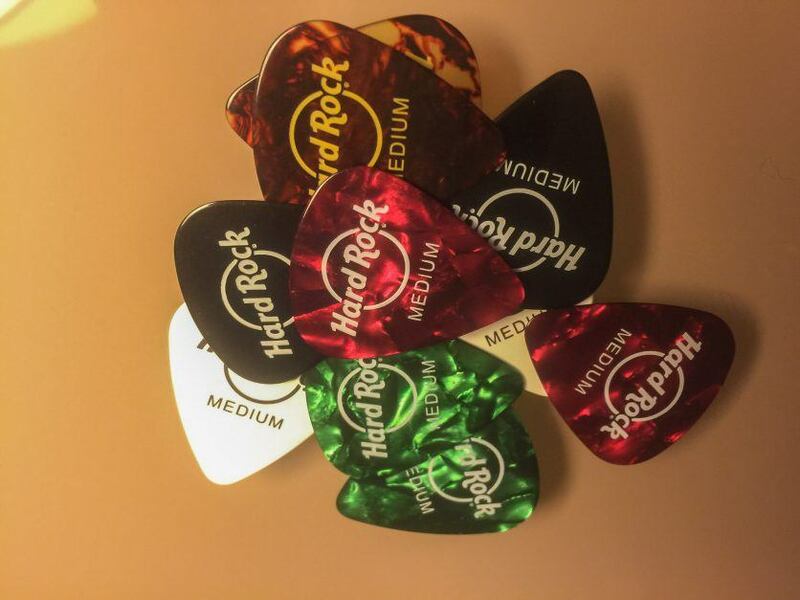 Especially, if a traveler wants to have an interesting and exciting stay, Hard Rock hotels is the best option. Moreover, while staying at Hard Rock hotel, you get an exclusive access to Hard Rock VIP nightclub. This is what I liked the most. Again, thanks for a great article!